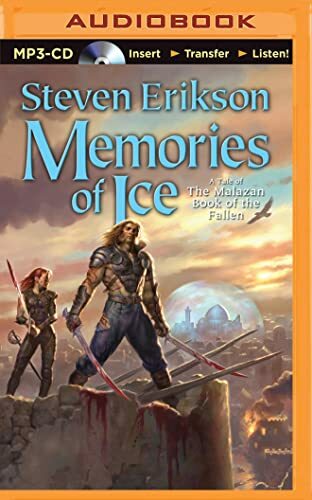 A triumph of storytelling and the latest thrilling chapter in Steven Erikson?s magnificent fantasy. The ravaged continent of Genabackis has given birth to a terrifying new empire: the Pannion Domin. A boiling tale of corrupted blood, it seethes across the land, devouring all who fail to heed the Word of its elusive prophet. In its path stands an uneasy alliance: Dujek Onearm?s Host and Whiskeyjack?s veteran Bridgeburners ? each now outlawed by the Empress ? alongside the enemies of old, including the grim forces of warlord Caladan Brood, Anomander Rake, Son of Darkness, and his Tiste Andii, and the Rhivi people of the Plains. Outnumbered by the Seer?s army of zealots and struggling to put aside their differences, it is vital they get word to potential allies, including an unknown mercenary brotherhood, the Grey Swords, who have been contracted to defend the city of Capustan against these fanatic hordes. But more ancient clans too are gathering. In answer to some primal summons, the massed ranks of the undead T?Ian Imass have risen. For it would appear something altogether darker and even more malign threatens the very substance of this world. The Warrens are poisoned, and rumours abound of the Crippled God, now unchained and intent on a terrible revenge.